Designed by renowned architect, Dawn Thurber, 89 East Bermuda's tropical architecture, with defining timeless features and a welcoming foyer, at once evokes a calm and relaxing atmosphere-inviting you to celebrate life at the beach in The Retreat. 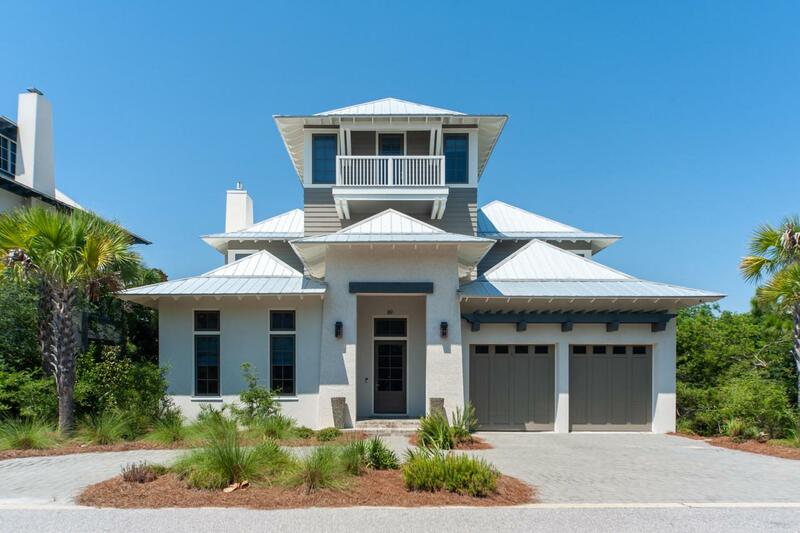 Built in 2015 and prominently nestled on the edge of The Retreat's 25 acres of forested conservation area, you are steps from a neighborhood beach walkover, leading to 3,000 feet of private beach--featuring the Beach Club--a stunning Gulf front resort-style private pool. Clearly designed from the inside out, the first floor's open plan with 12 foot ceilings enjoys a pleasant flow from kitchen, living and dining to the master bedroom suite complete with separate his and her baths and walk-in shower.The brilliantly designed kitchen is sleek, eye appealing, functional, and appointed for the resident chef to create, cook, and entertain in style. 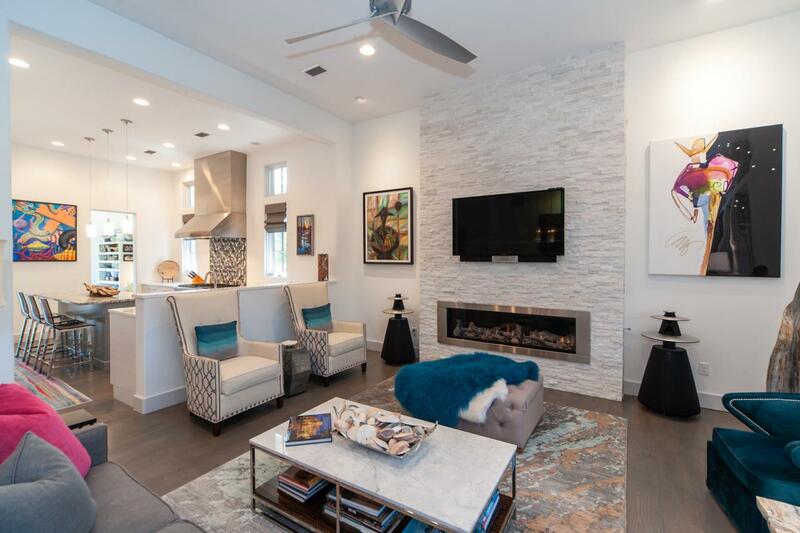 Large quartzite island with bar stools encourages casual dining and conversation--enhanced by the sound provided by the custom Bang & Olufsen system, and the glow of the hip gas fireplace. Choose your mood of warm and subtle or bright and light with recessed lighting and beautiful fixtures throughout. Stained white oak flooring gracefully tie all the living and bedroom areas together evoking a feeling of comfort and softness when exploring this home. As you arrive on the second floor with 10 foot ceilings, you continue to be delighted as a hall art gallery leads to a large porch with privacy afforded by the forested conservation area. Each of the three ensuite bedrooms on the second floor are masterfully separated for privacy. Two of the bedrooms open directly onto the north porch while the third bedroom accesses the porch via the art gallery. The sun-drenched top floor family room boasts gulf views, cathedral ceilings, and southern exposed balcony. This beautiful space is also ideal for a large private study, or a combination bunk and game room. Quality construction of concrete block and frame, fine craftsmanship and materials designed to last with minimal maintenance in mind and inspiring living spaces make 89 East Bermuda the perfect home for living at the beach. 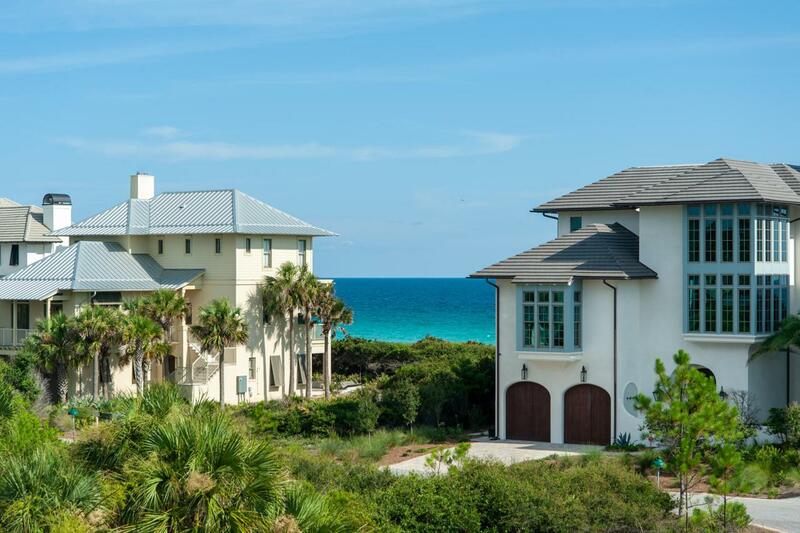 The Retreat is a sought after rental restricted, gated community in Blue Mountain Beach south of 30A, bordered by conservation, Draper Lake and the Gulf of Mexico to the north, west and south respectively. Launch a kayak or stand up paddle on a rare coastal dune lake, picnic, take a walk on the boardwalk to a trail along Draper Lake. Store your beach gear beneath the Beach Club in your assigned space. Your dream home is waiting and most furnishings may be purchased separately. 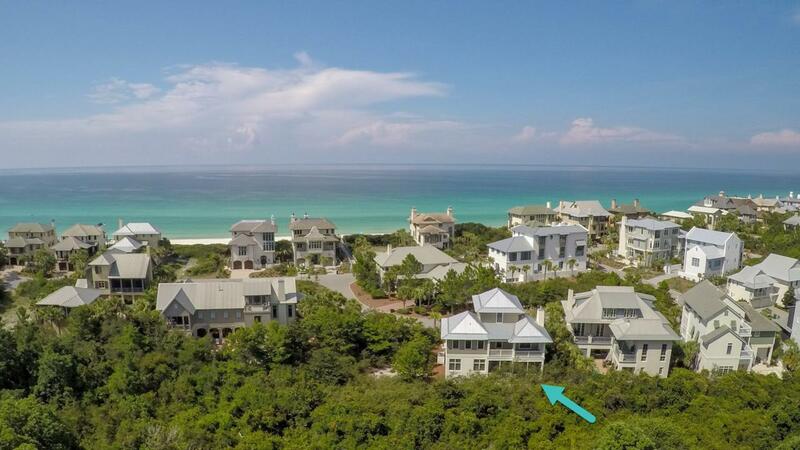 Don't miss this opportunity to own on 30A in this private coastal retreat. We invite you to make an appointment today and experience the beauty of 89 East Bermuda.